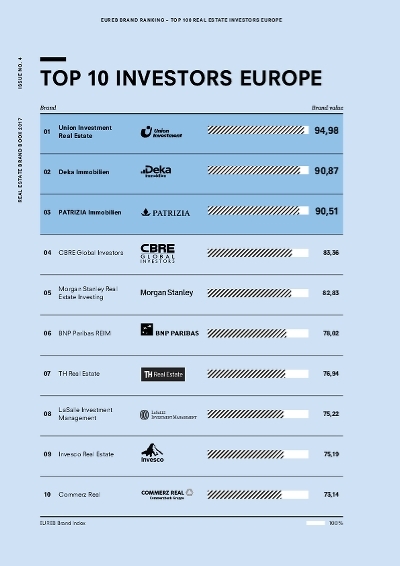 The EUREB Brand Value study surveys the top 100 corporate brands in the field of Real Estate Investors in Europe. EUREB provides the basic information for the the TOP 100 dealmakers in Europe. The survey questions rd. 48,000 real estate professionals in 47 European markets. In addition, they ask selected family offices and foundations about the positioning and reputation.